Valencia is one of the most vibrant cities in Europe. 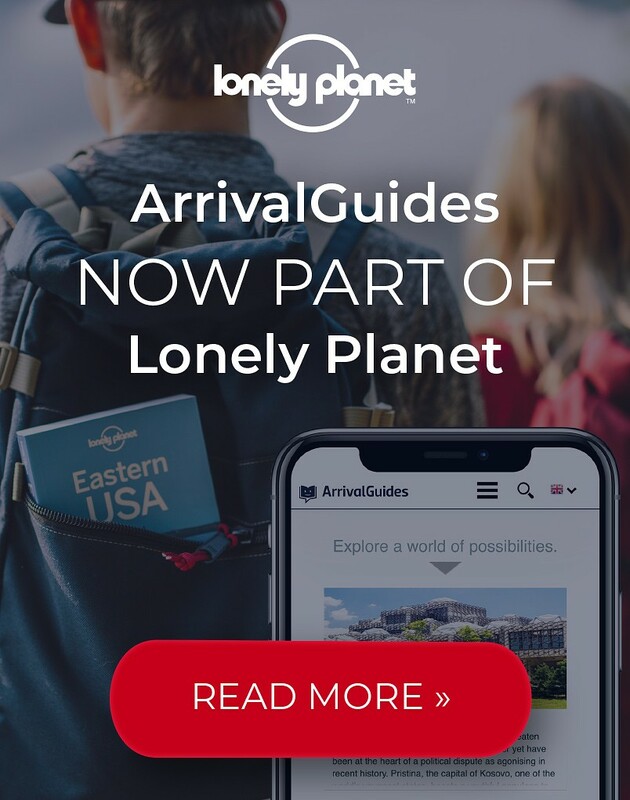 With a privileged location by the Mediterranean sea, it offers a perfect combination of beaches and culture, where historic monuments can be found alongside futuristic attractions. The birthplace of paella, it boasts a thriving food scene featuring Michelin starred restaurants as well as quirky tapas bars. Its neighbourhoods come to life during traditional festivals like Las Fallas whilst at night there is a buzzing atmosphere in the many bars and clubs in trendy districts like Ruzafa or El Carmen. Opening hours: Traditional opening hours are Mon-Sat 9am-1:30pm, and 4:30pm-8pm, though many shops in the city centre stay open all day, and are also open on Sundays. Large department stores open daily from 10am to 10pm (9 pm on Sundays). 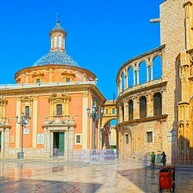 Many of Valencia’s main attractions can be found within its old quarter, a compact area around the Cathedral which is best explore on foot or by bike. Buy a Valencia Card to get discounts at monuments and museums and free transport to reach some of the other key areas of the city. Opposite La Lonja, you will find the oldest food market in Europe, located in a fantastic building in a true Valencian style. The market is just as lively now as it was a hundred years ago, as if time stood still. 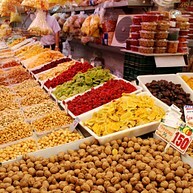 This is a great place to buy some local delicacies and experience Valencia's daily life. Valencia’s Cathedral is a beautiful example of Gothic architecture, and the home of the Holy Grail – the only one certified by the Vatican. 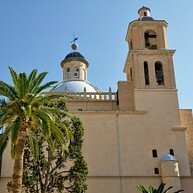 Its tower, the Miguelete, is a true icon of Valencia. Climb up to the top for great views of the city. 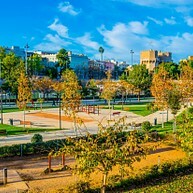 Since the Turia river was diverted south of the city after serious flooding in the 1950s, its former riverbed has become one of the best places in Valencia to go for a stroll, offering 9 kms of gardens, children’s playgrounds and sports facilities. This new museum occupies the Colegio del Arte Mayor de la Seda (College of High Silk Art), a beautiful 15th-century building restored to its former glory, and takes visitors through Valencia’s Golden Age, when it was the epicentre of the silk trade. With no visible barriers, visitors to this animal park can immerse themselves in the amazing wild habitats where lions, elephants, hippos, gorillas and many more species live. The emphasis is on the preservation of endangered species and protecting the environment. 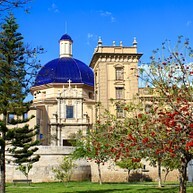 If you only manage to see one sight, it has to be La Lonja, the old silk exchange. It is heralded as one of the foremost Gothic buildings in Europe, and in 1996 it became a UNESCO world heritage site. The actual market is the size of a cathedral, covering 21,420 square feet. This small church in the district of El Carmen is known as Valencia’s Sistine Chapel. The spectacular frescoes that cover its ceiling, dating from the 17th century, have recently been restored to their full glory. One of the most beautiful examples of Modernist architecture in the city, the Colon Market is home to several cafes and restaurants, and a good place to pick up interesting crafts and gifts, particularly at the Christmas market. 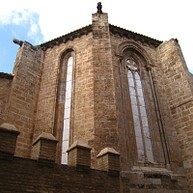 The two squares that surround the Cathedral are at the heart of Valencian life. The many bars and restaurants lining the squares are always buzzing and their terraces are great places to relax in the sun and watch the world go by. This playground is quite unusual and very much appreciated by the children. 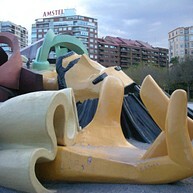 If you look closely you will see that the whole playground consists of a large giant, hence the name "Gulliver". In this museum located in a restored mill you will learn about the procedure of processing rice in the mill's machinery, and understand an interesting part of Valencia's cultural memory. This renovated art museum is one of the finest in Spain and houses some 2 000 works, most dating from the 14th-17th centuries. Art works by Goya, Velázquez, José Ribera and Sorolla cover its red, peach and green walls. 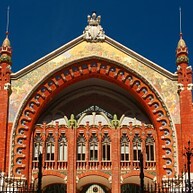 This small museum’s exhibits focus on Valencia’s huge Las Fallas festival. Las Fallas is a traditional celebration held every year in March, and people use this festive event to ridicule those in power. The term Fallas refers to both the celebration and the monuments created during the celebration. A number of towns in the Valencian Community have similar celebrations inspired by the original one in Valencia. This botanical garden was founded in 1567 and restored in 2000. It contains an impressive collection of more than three thousand species of trees, palm trees and plants. 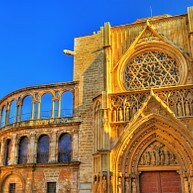 Built in 1261, this gothic church is one of the oldest in the city, actually the first church built in Valencia after the Cathedral. The church has a single nave covered with a pointed barrel vault.